Online dating has come a long way in a relatively short amount of time. Once regarded as a less-than-admirable way to find a date, it has now become firmly embedded in our collective consciousness. There once was a time that you would only hear mention of online dating through shielded whispers. 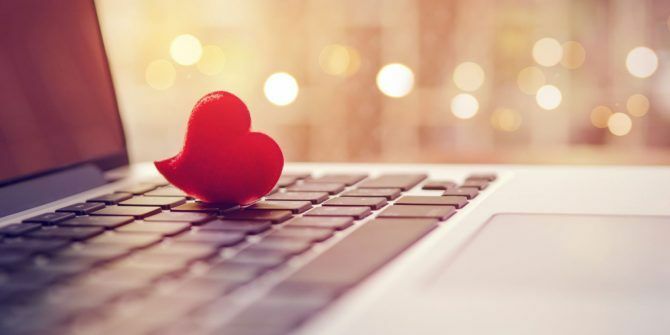 Now, having a friend tell you they are going on a date through OKCupid, eHarmony, or even Tinder is a regular occurrence 7 Online Dating Stats That Just Might Surprise You 7 Online Dating Stats That Just Might Surprise You How many of these online dating stats did you already know? At least one of them will catch you off guard. Read More . Some of this change has been down to how we use the internet — embedded into our lives through work, smartphones, and social media The Positive Impact of Social Networking Sites on Society The Positive Impact of Social Networking Sites on Society Social networking isn't for everyone, but it's now such a massive part of all our lives, whether we embrace or reject the notion, that it can no longer be ignored. But are social networking sites... Read More . As the online dating platforms have grown, so has their vast collection of profile data. By using your data, they are able to provide better matches, leading to more interesting dates, and higher compatibility. Over the past few decades, computing has largely stuck to the principles of Moore’s Law What Is Moore's Law, And What Does It Have To Do With You? [MakeUseOf Explains] What Is Moore's Law, And What Does It Have To Do With You? [MakeUseOf Explains] Bad luck has nothing to do with Moore's Law. If that is the association you had, you are confusing it with Murphy's Law. However, you were not far off because Moore's Law and Murphy's Law... Read More . Thanks to the lower prices for ever more powerful hardware and processors, the cost of storing data has dropped dramatically. Its also made it more affordable to collect data at a large scale — as the Quantified Self The Quantified Self: How To Track Your Life With Your iPhone The Quantified Self: How To Track Your Life With Your iPhone If you track your actions, you will be able to do them better. However, tracking can be tiresome if you don't have the right tools. Let's make it as simple as possible. Read More and Internet of Things The 10 Best Internet of Things Gadgets You Must Try The 10 Best Internet of Things Gadgets You Must Try Just a decade ago, gadgets like these were the stuff of imagination. But now, Internet-connected toys, headphones, luggage and more are widely available. Here are some amazing products you should definitely check out! Read More movements can confirm. Big Data was a hot topic in the early 2010s. Although many pundits made it sound complex, it is just our ability to create and store large amounts of data automatically. Big Data engineers are now employed to collect the data — and paid handsomely for it 6 of the Best Paying Tech Careers for 2016 6 of the Best Paying Tech Careers for 2016 Investing in the right technology career requires planning and foresight. These six career options are expected to be the hottest in the next few years. Are you ready? Read More . Data scientists then analyze the data How to Become a Data Scientist How to Become a Data Scientist Data science has gone from a newly coined term in 2007 to being one of the most sought-after disciplines today. But what does a data scientist do? And how can you break into the field? Read More for patterns, trends, and other insights. The biggest challenge that online dating websites face is to make sure you are matched with people that you like. Even in the early days of online dating, the sites used questionnaires and profile information to try and find you the perfect date. However, before the Big Data boom it was often quite a manual process and could sometimes leave you disappointed by the end of a date. Now though, the questionnaires form part of the website’s growing data set. The questions have become more specific, with definitive answers. They’ve also driven up the amount and variety of information collected. At the same time, the amount of users across the sites has increased, creating a huge pool of data. By developing machine learning algorithms 4 Machine Learning Algorithms That Shape Your Life 4 Machine Learning Algorithms That Shape Your Life You may not realize it but machine learning is already all around you, and it can exert a surprising degree of influence over your life. Don't believe me? You might be surprised. Read More , the online dating platforms hope to be able to predict, with greater certainty, matches that brighten your day. eHarmony first opened its doors to relationship seekers back in 2000 and has gone on to serve over 33 million members. The site differentiates itself from the competition by billing themselves as a relationship, rather than dating, website. As the company is privately owned it has no obligation to share its data and statistics with the general public. They have previously mentioned that over 600,000 couples have got married after meeting on the site, with over two thirds finding this match within their first year. eHarmony uses a proprietary questionnaire 5 Reasons to Take eHarmony's Questionnaire 5 Reasons to Take eHarmony's Questionnaire Most dating apps promise you immediate results and without much effort. But try eHarmony if you want to improve your chances for a long term relationship. Read More that aims to dig a deep into who you are, and what you may like in a partner. At 258 questions, and taking almost 18 hours to complete, it is a lot of effort. It’s that data though which allows the site to build up as much information on you as they can before plugging you into their matching algorithms. eHarmony cemented its dedication to data when it announced it was teaming up with IBM’s artificial intelligence platform Watson IBM's Watson Created My Thanksgiving Meal - Here's What Happened IBM's Watson Created My Thanksgiving Meal - Here's What Happened IBM's artificial intelligence known as Watson can do lots of smart things, but can it create a complete and unique Thanksgiving meal? I give it a try. See what happens! Read More . IBM’s PureData System allows eHarmony to analyze patterns in petabytes of data and helps them to complete their 3.5 million matches every day. Like many other tech startups, OKCupid was developed by Harvard University students back in 2001. The basis of the site is a collection of fun personality quizzes using a variation of the infamous Myers-Briggs Type Indicator. They combine your answers with how you would like your match to answer them, along with how important each question is to you. That data is then converted to numerical values OkCupid -- How A Dating Website Wants To Fix Your Love Life With Math OkCupid -- How A Dating Website Wants To Fix Your Love Life With Math Online dating won't fix all your romantic problems. But if online dating is where you're at right now, OkCupid is the best service, free or paid, available on the market today. Read More and plugged into their algorithm to find you a match, complete with a percentage compatibility rating. Since 2014, OKCupid has written a blog where they detail some of the more interesting and surprising things they learn from the data they analyze. They also courted controversy by publicly admitting Facebook Pushes Messenger, OkCupid Experiments on Users, And More... [Tech News Digest] Facebook Pushes Messenger, OkCupid Experiments on Users, And More... [Tech News Digest] Also, Amazon launches a portal for 3D-printed products, Samsung delays release of its first Tizen smartphone, Reddit eyes profitability, Yelp adds user-generated video reviews, and Microsoft trolls Apple with Cortana bullying Siri. Read More that they used some of this data to experiment on their users. That said, what the experiments mainly showed was that people can be fairly shallow. While sites like eHarmony and OKCupid have found success mining data for matches, some have taken a different approach. Probably the most popular among the competition is Tinder. Using their mobile app you swipe your way through suggestions based on location, a short bio populated from your Facebook profile, and some images Get More Right Swipes on Tinder With Smart Photos Get More Right Swipes on Tinder With Smart Photos Tinder is all about first impressions. So Tinder is employing Smart Photos to help you get more right swipes. Read More . In just a few short years, Tinder managed to become the most popular online dating service with over 50 million users as of 2014. Collectively those users make 1.6 billion swipes per day, leading to 26 million matches. This high volume of matches far exceeds OKCupid, eHarmony, or any other traditional data-based dating site. Tinder does still use data like location, number of mutual friends, and common interests to suggest matches. The key difference with Tinder is that it doesn’t ask its users to fill in lengthy questionnaires. Instead, it uses data that they already know, either from your smartphone or Facebook, to provide you with matches. As the app is still relatively young, it’s not clear if these matches lead to long-term relationships. What is clear though, is that data doesn’t necessarily mean everything in the online dating game. 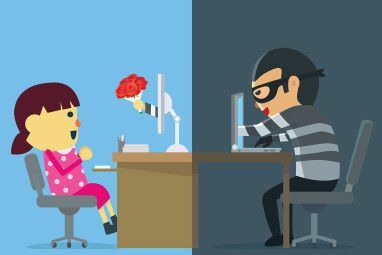 Will Big Data Find You Love? Online dating has come a long way since its first outing nearly twenty years ago. The lower cost of collecting, storing, and analyzing data has meant that companies are scrambling to prove they have the best matching algorithms. Just as there are many choices of dates, you have many choices of dating sites. They range from the scientific-but-time-consuming eHarmony to the fun-and-informal OKCupid. Although these companies make good money from harvesting your data, you benefit too. From compatibility matches, to choosing your profile picture The Perfect Online Dating Profile Picture, According to Research The Perfect Online Dating Profile Picture, According to Research In the online dating world, sometimes a picture is the only thing you have to create a great first impression. Use these tips to have the perfect selection of profile photos in no time. Read More , these companies may hold the key to finding love online. The measure of success for any dating site is how easily you find a match you enjoy spending time around. With the guiding hand of big data, these sites hope narrow down how many fish there are in your sea. What are your online dating success stories? 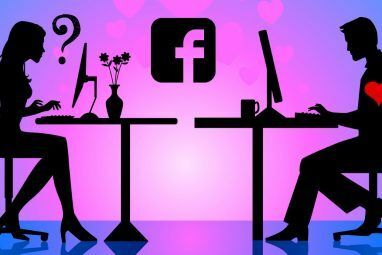 Do you think online dating is the future? Or do you prefer the act of IRL dating? Let us know in the comments below! Explore more about: Big Data, Location Data, Online Dating. My match.com account is 20 years old. I've never gotten a date from match, though for a very long time, I did pay for it. My OKcupid is 12 years old. I might meet someone from OKCupid every three or four years, but I have actually made friends with very good long-distance matches, which does give me hope for its methodology. Many newer dating services require a Facebook account, are mobile-only and/or have odious privacy-violating terms of service. I understand that this is done both to monetize the service and for identity verification purposes, but I'm still going to refuse to use those systems if I don't like the terms of service. I think online dating takes advantage of lonely people. Most services have a pay-for-premium option. The people who don't have any luck wind up subsidizing those who do. It's fairly disgusting, but for many people, dating sites really are the only option. As terrible as they are (women will say they're full of assholes and perverts; guys will say they never get any contact from anyone), navigating them is one of the few ways we can meet and gather absent the forms of community we may have had 50 years ago.